Hyperion LED Surgical Lights - JD Medical Dist. Co., Inc. Introducing the Hyperion LED Surgical Lights! JD Medical is always striving to bring our current and new customers the absolute best in equipment and service. 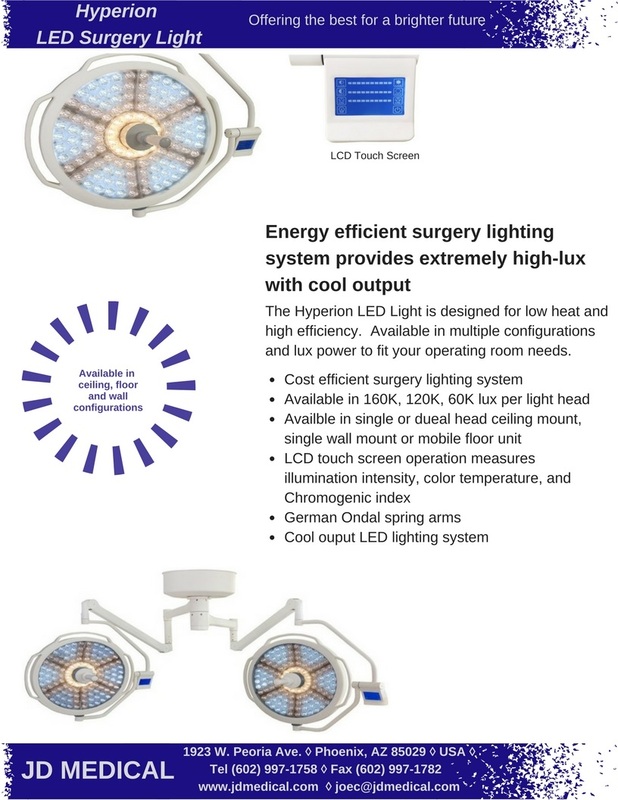 The Hyperion LED Surgery Light offers the brightest option for surgical and examination lighting. JD Medical also offers installation of the surgical lights. Contact JD Medical today to see how the Hyperion LED Surgery Light can offer you and your clinic a brighter future.